Fury Baseball Boys Travel based out of Downers Grove arranged its first team in August of 2010 to provide an alternative to travel baseball in Downers Grove. The 12U team enjoyed success playing in the spring/summer of 2011 and the inaugural season culminated with a memorable trip to Cooperstown Dreams Park in Cooperstown, NY. Our players competed admirably by finishing 4-2 in pool play and ranking 28th out of 104 teams from across the United States. Since inception, Fury Baseball has received outgoing support from many families, players, friends and sponsors and has grown from 1 team (12 players) in 2011 to 10 teams (125 players) for the 2018 season that just ended. 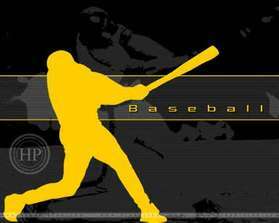 In 2019, we continue our journey by focusing our efforts on age groups 9U through 14U. Our volunteer Coaching staff, with various experiences coaching youth sports, will be 38 strong in 2019 supporting our players. We supplement their coaching by providing professional instruction in skill and team development as well as "baseball specific" speed and agility training through Core 1, Inc.
We are driven on fundamentals, providing our players with an environment that will challenge them, allow them to learn, respect the game and have fun in a more competitive environment. As our players get older and choose to include baseball as their primary sport, our objective is to simply prepare the player for an opportunity to represent their High School baseball team.